all his life long at all. the italian radios or just appearing on TV as a rock and roll guitarist. when just eleven years old he became blind of an eye. and he got graduated at the Conservatory as well. Daniele Magli always bit me for his humility as he wanted to hide his merits. interview will help us to know him better. 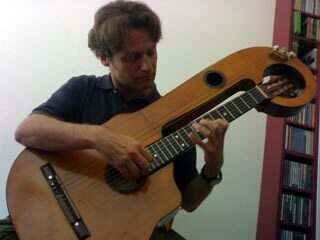 decided to shoot me while playing Asturias by Albeniz. 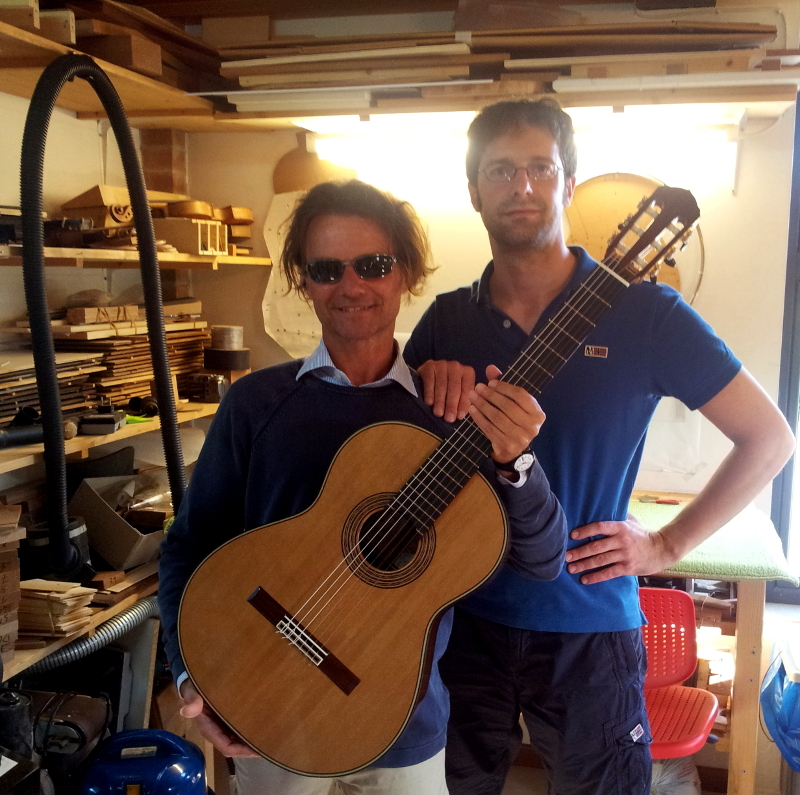 Daniele Magli : 'Exactly, I didn't touch at all classical guitar from 1992 to 2004. 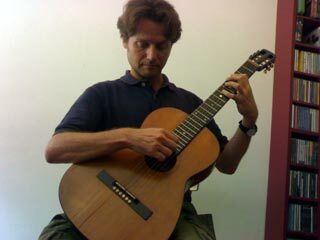 Daniele Magli : 'I found three very good masters : the first was Tommaso De Nardis (Venice Conservatory) he told me everithing about Sor, Carulli and Tarrega's technique. 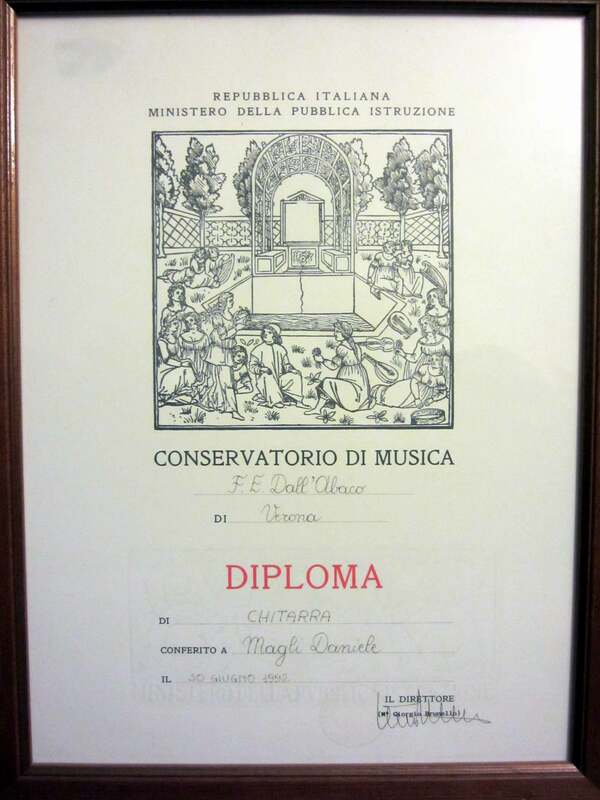 The second one was Dino Doni, he studied with Ruggero Chiesa (Andres Segovia's apprentice), I studied with him Villa Lobos, Mauro Giuliani and Bach. 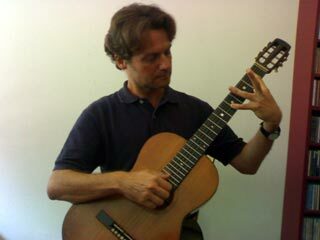 Daniele Magli : 'During my first years "La escuela razonada de la guitarra" by Emilio Pujol (Four Volumes), Ferdinando Carulli's Method, "120 Arpeggios2 by Mauro Giuliani. Then I studied Op. 31 and Op. 35 by Fernando Sor (they are the famous studies choosed by Andrés Segovia). Reginald Smith Brindle Method titled "Guitar Cosmos - Progressive Pieces for guitar with an introduction by Julian Bream" it was very important to understand contemporary music. Daniele Magli : 'I've always suffered the performance rules strictness: not even the best performers are the interpretation truth owners. 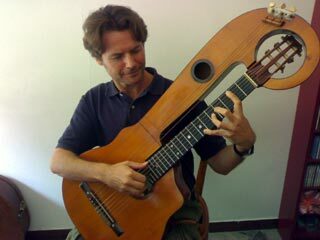 I usually try to escape the canonic interpretation when I play pieces as Lagrima by Francisco Tarrega or Choro by Heitor Villa-Lobos, and I do so just to avoid what Glenn Gould would have called Hollywoodian interpretation. 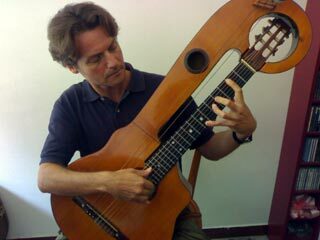 Daniele Magli : ' I take into account the philological aspect as well as the guitar interpretatiion history : above all I take into account of those guitarists we got records and live performances and I do not quit to look for new ways and originality. 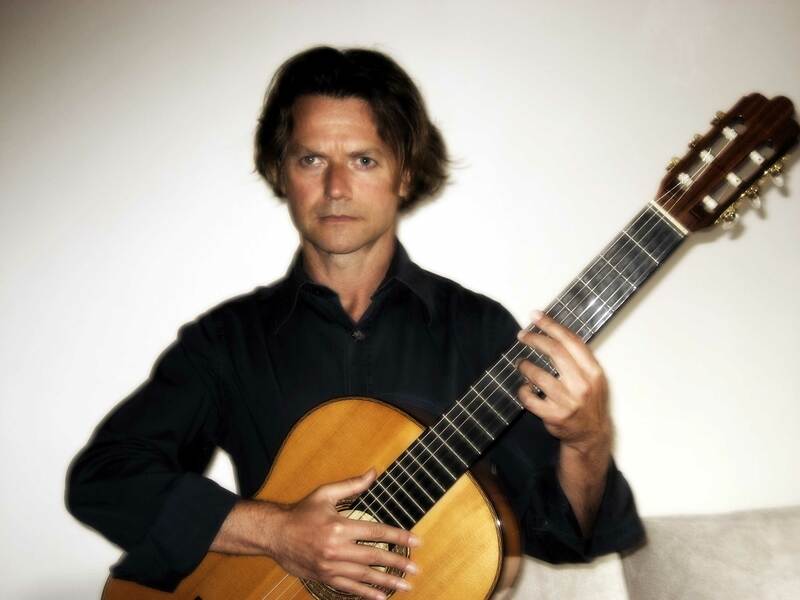 When I usually visualize a score I figure out my ideal interpretation and I sing it, then I take the urtext score or the former score to achieve a change in accent or an out of fashion rubato or a décalage or, we could say a shift in the melody rithm according to accompaniment. 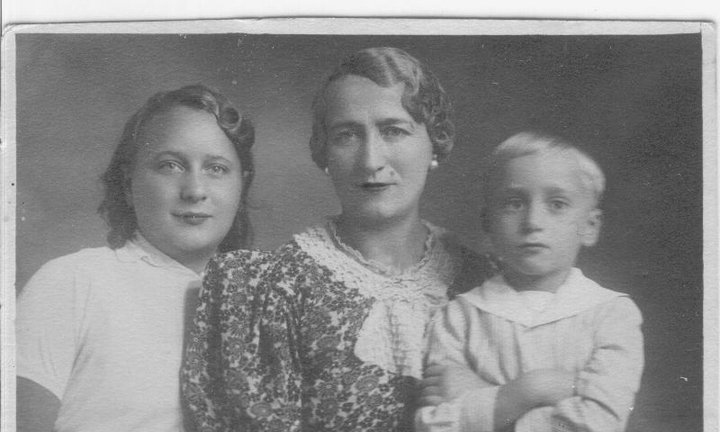 the tradition is nothing but the mistake sum as Artur Schnabel said. To perform in a new way it is necessary to think big. Interviewer: "All right, that's really interesting! Please, go on." And he said to me: 'No, mistake is when you stop. You should just keep on playing! The mistake is when you stop"
Interviewer: "What an interesting Venetian Zen anecdote !" Daniele Magli: ''Yes, you're right ! 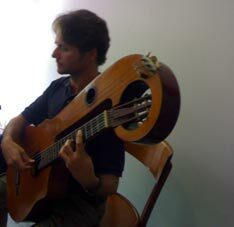 Playing on board gondolas tought me to memorize a lot of pieces about classical guitar as a huge repertoire was needed. 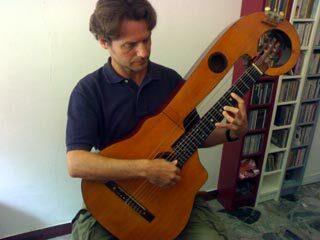 However, the guitarist should become an absolute master of continuing as if mistakes had not happened when playing in front of an audience; he should act as if even his body language betrays no hint at all that he's just dropped a clanger or micro mistake. Getting out from mistakes is an art in itself." 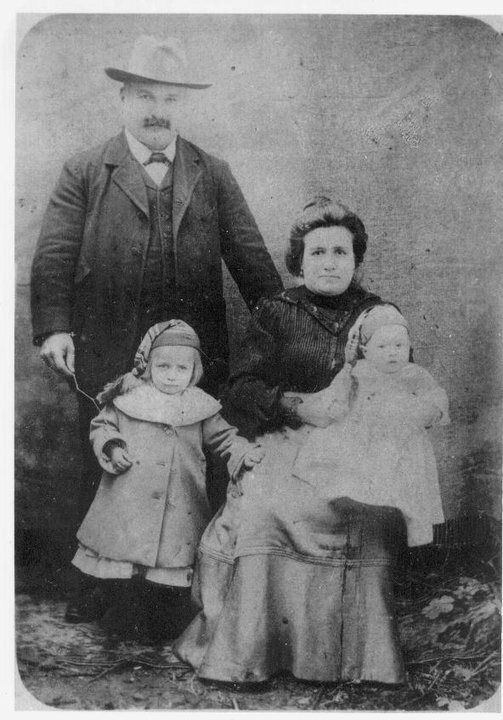 Pics from Daniele Magli family about 1900. Interviewer: "I'm impressed by your set up, you seems to be very relaxed at playing, is there any secret about that ?"